Close-up of the lone C808 fingerboard at the intersection of George St (C807) & George St (C807/C808), Lefroy. Source: Peter Renshaw, June 2007. 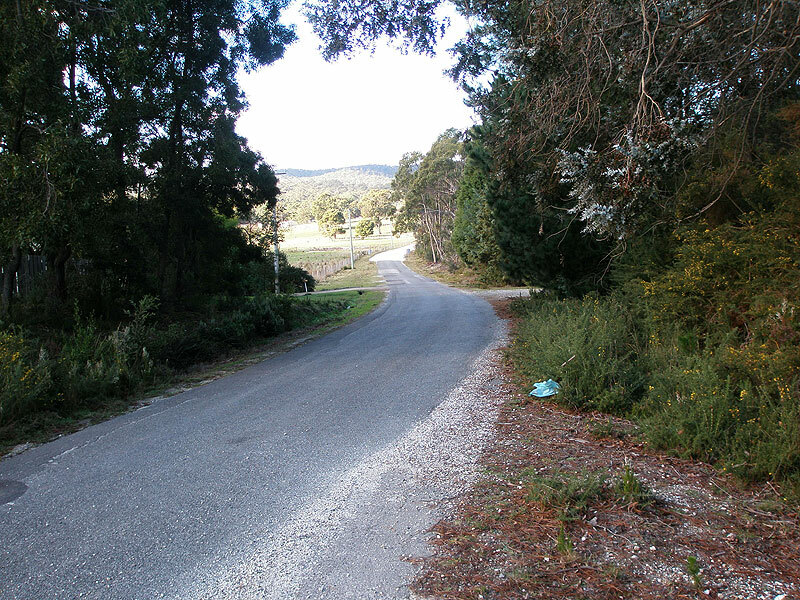 C808 is a minor rural route in northern Tasmania, linking Bridport Main Road (B82) with the former mining town of Lefroy and the coastal fishing village of Beechford via C807. It is unsealed along most of its short (3km) length. 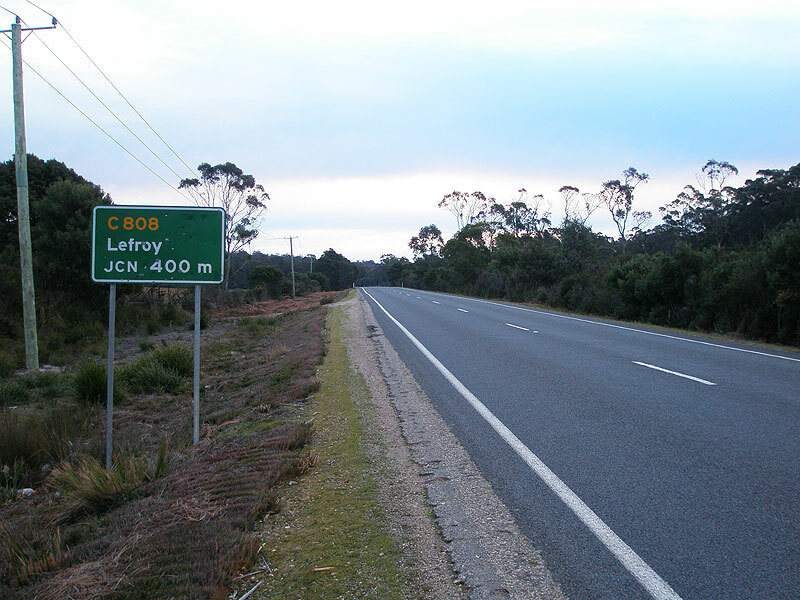 Bridport Main Rd (B82) westbound approaching the intersection with Lefroy Rd (C808), 7km west of Pipers River. 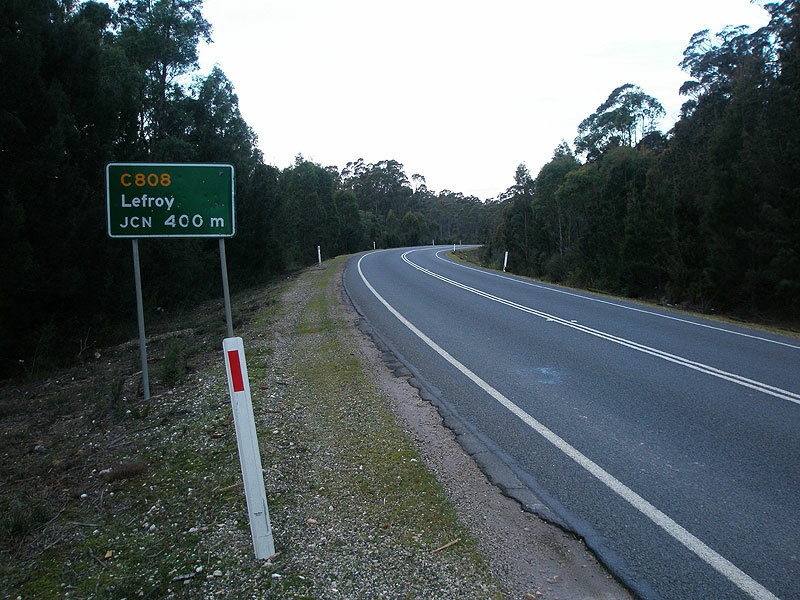 Bridport Main Rd (B82) eastbound approaching the intersection with Lefroy Rd (C808), 7km west of Pipers River. Lefroy Rd (C808) looking north from the junction with Bridport Main Rd (B82). 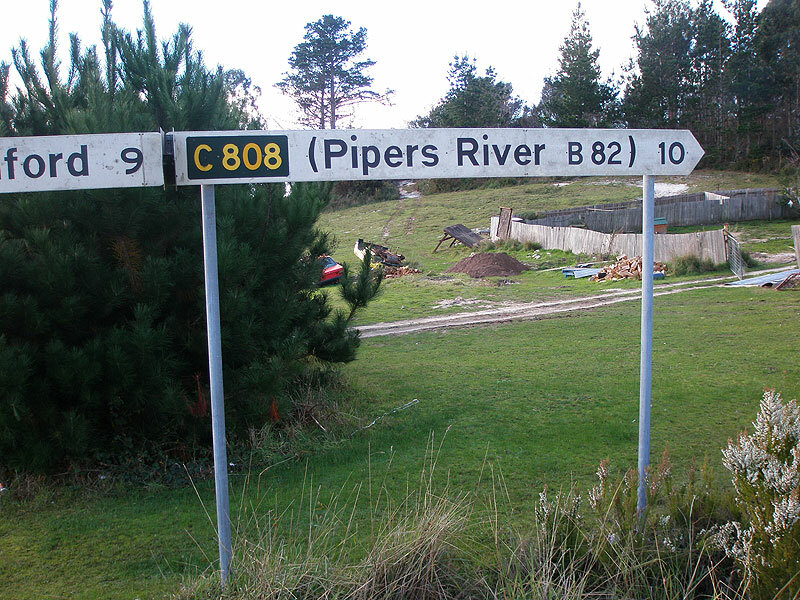 There are no fingerboards at the B82 junction and, were it not for the AD signs pictured above, C808 would be a one-hit wonder. 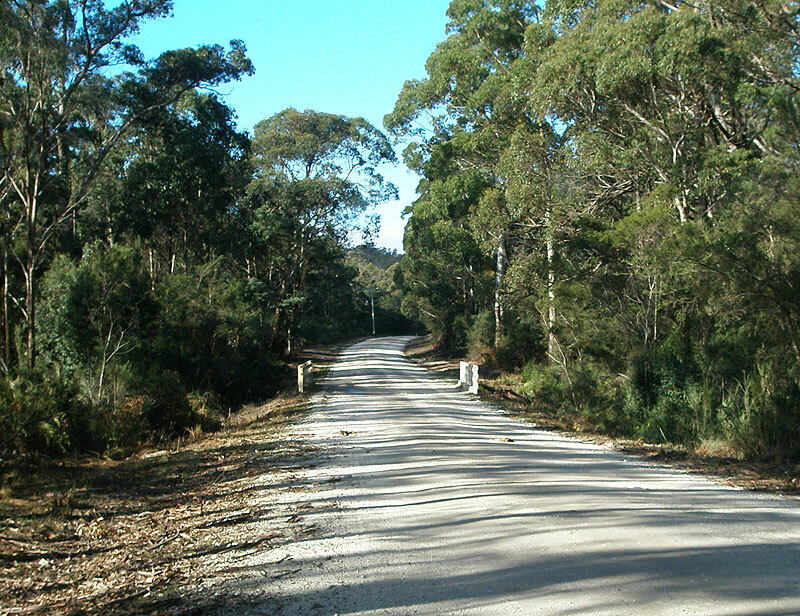 Lefroy Rd (C808) looking south approximately 2km north of Bridport Main Rd. 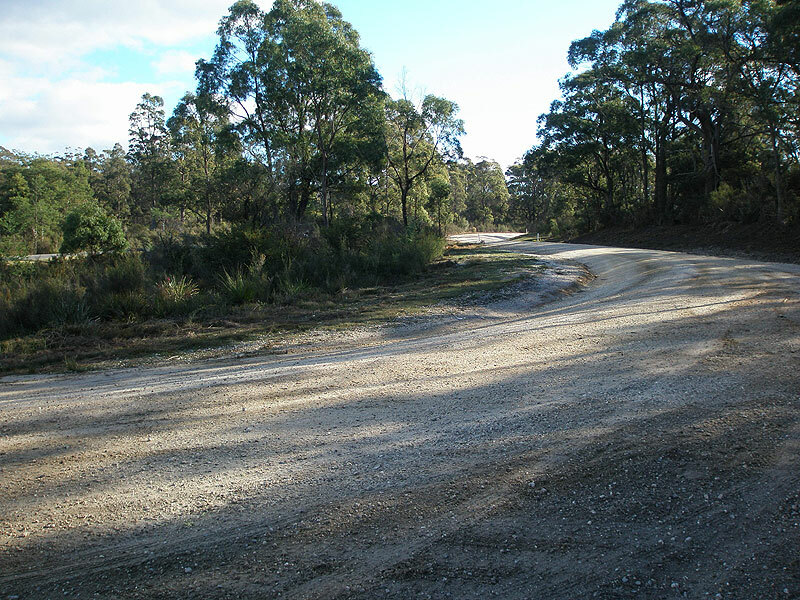 Lefroy Rd (C808) looking south-east at the Lefroy town boundary, showing the transition from sealed to unsealed road. 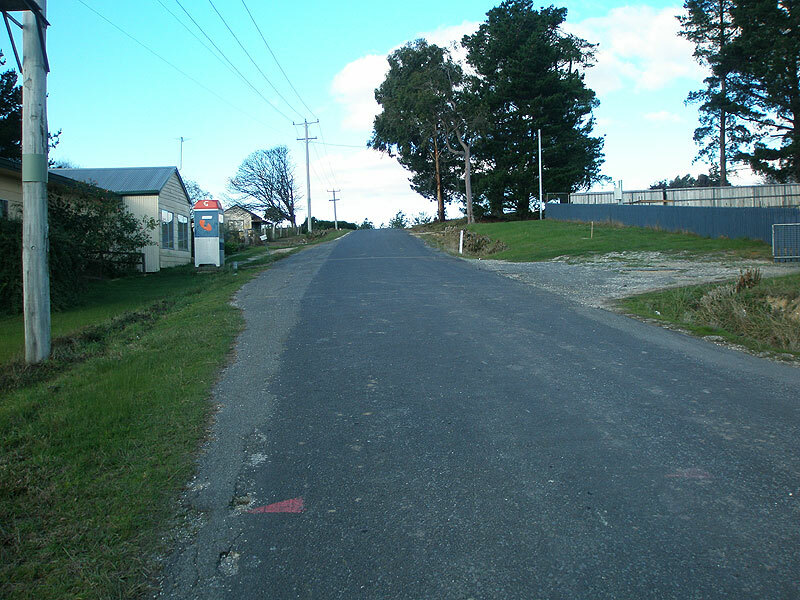 Shaw St (C808) looking south-east in Lefroy. Close-up of the lone C808 fingerboard in Lefroy, at the intersection of George St (C807) & Shaw St (C807/C808). 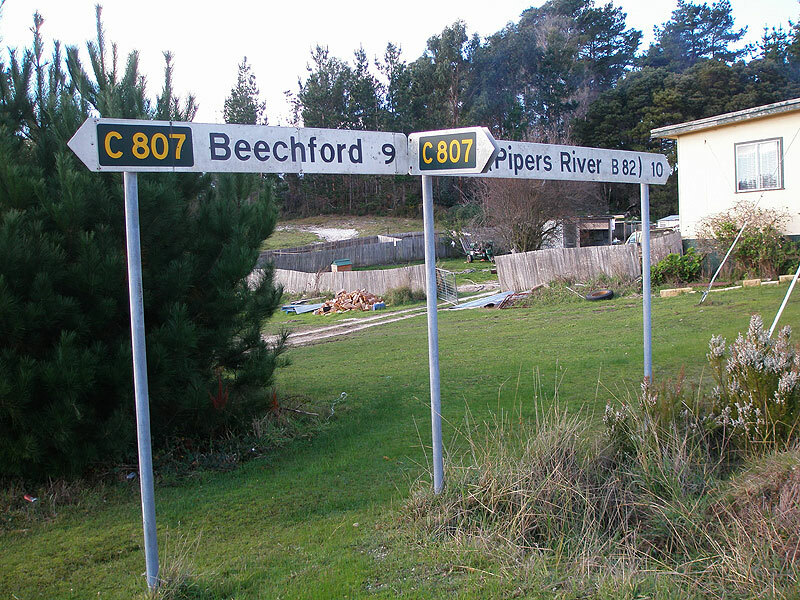 Wider view of the fingerboard signs at the intersection of George St (C807) & Shaw St (C807/C808), Lefroy.